►An alternative to the three-door hatch? 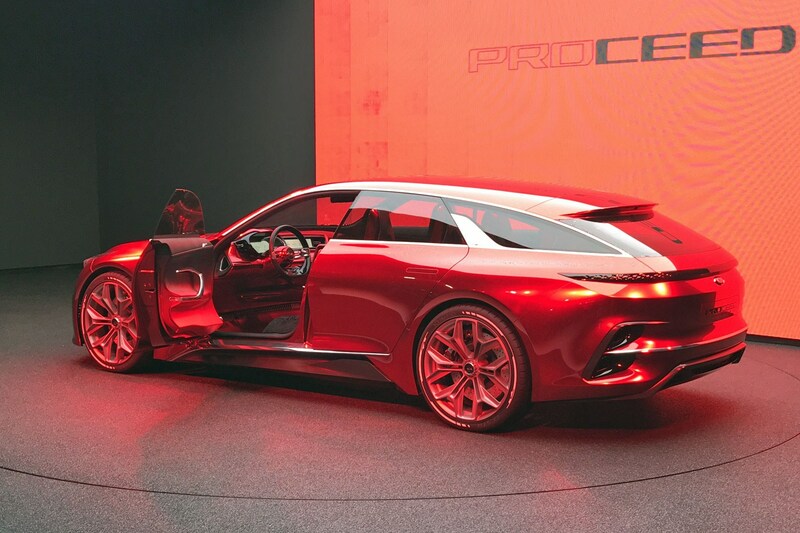 Kia’s new shooting brake Proceed concept made its debut at the 2017 Frankfurt motor show. It seeks to ‘evolve’ the hot hatch three-door market sector, and push Kia’s design language ever closer to the premium market sector. 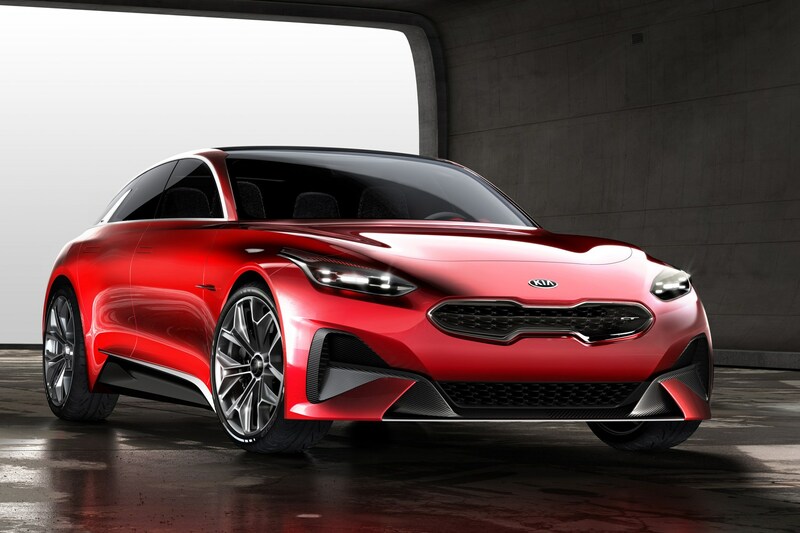 Kia hopes that its Proceed Concept will inject some extra style into the next-generation Ceed range, with the new Proceed Concept showing off a potential new body style for Kia. 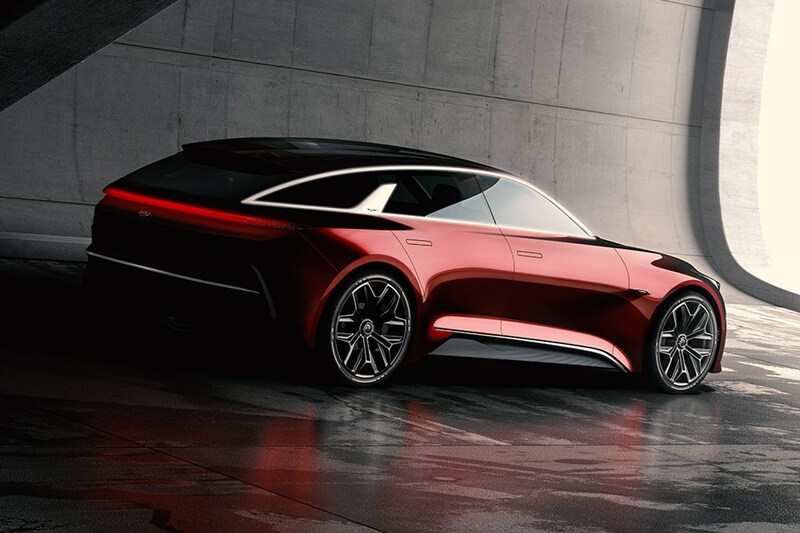 The Stinger-faced estate concept points to a sporty big-booted version of Kia’s perennial family car, which could make its way into production in the future as part of an expanded Ceed or Proceed range. Is it a Stinger for the family man? It’s hard to escape that conclusion. Since Peter Schreyer’s appointment as Kia’s design director, the model range has rapidly evolved. 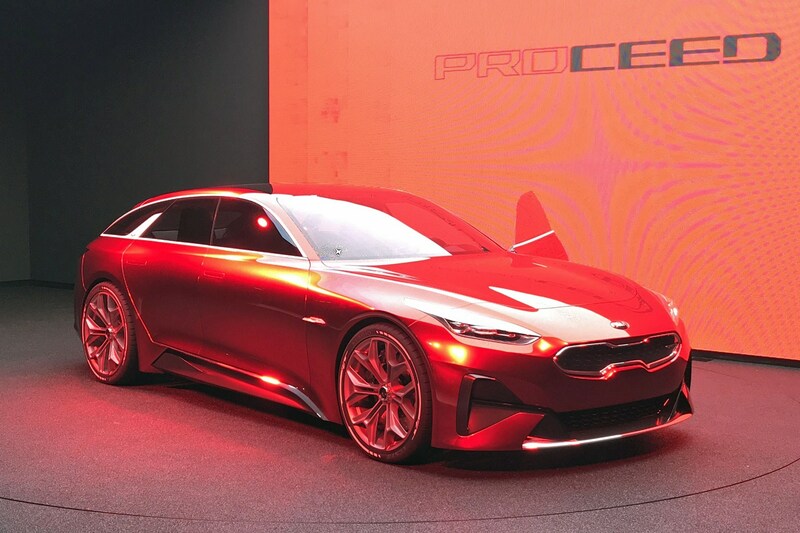 The Stinger might be the company’s new halo product, but the appearance of the Proceed concept shows that Kia is taking this look further down market. 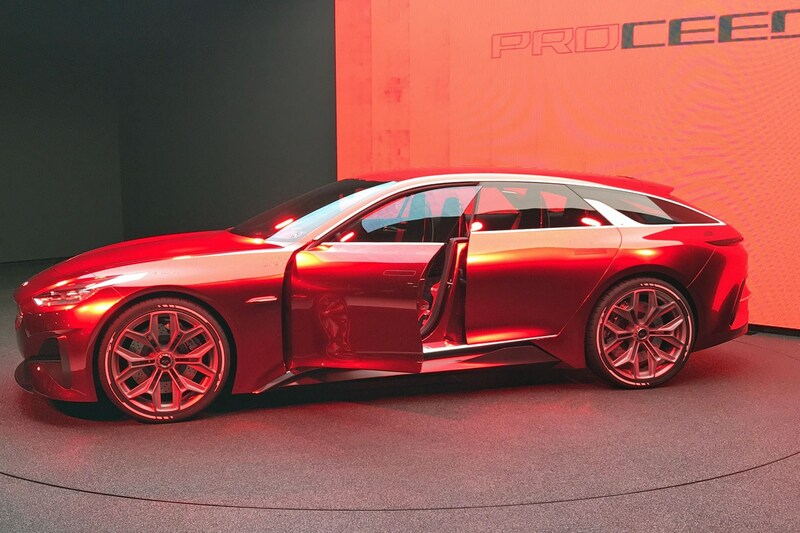 So, along with the Stinger nose, the Proceed concept gets a dramatic body shape. 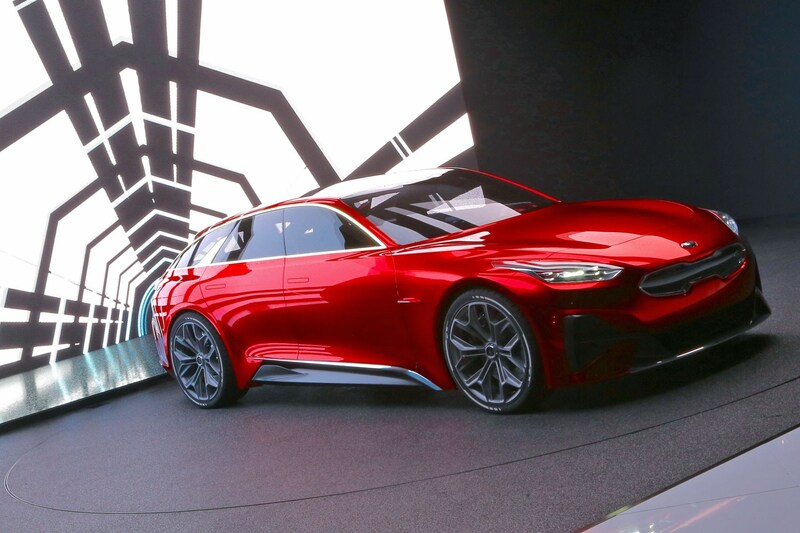 It is likely to be the basis for the next-gen Ceed range, which is expected to make its production debut in early 2018 with uprated engines and the latest connectivity tech. Tell us more about the Proceed’s styling? The big question is how much of this car’s styling will make it to next year’s Ceed. Certainly you can expect this car’s bodystyle to make it as a replacement for the existing three-door model – rather like the Hyundai i30 Fastback. Whether its Porsche 928-aping low roofline and muscular proportions carry over is another matter. 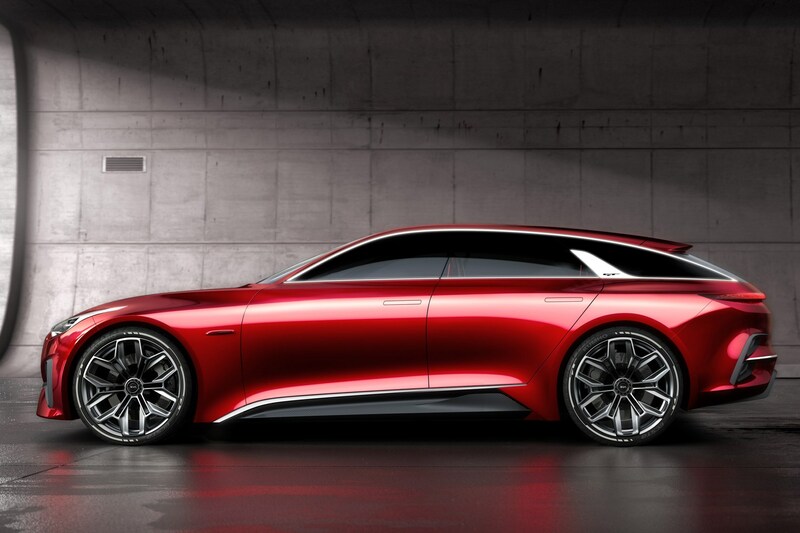 The concept features what Kia calls a striking ‘Sharkblade’ in the bodywork, which emphasizes the fact it’s lost its B-pillars. The cool-looking lateral strakes are interesting, and manage to make it look lower – a clear indicator that it’s chasing down the hot hatch market with the production version of the Proceed. That interior’s too much, though, isn’t it? Yes, but it’s a concept, so it’s forgivable. 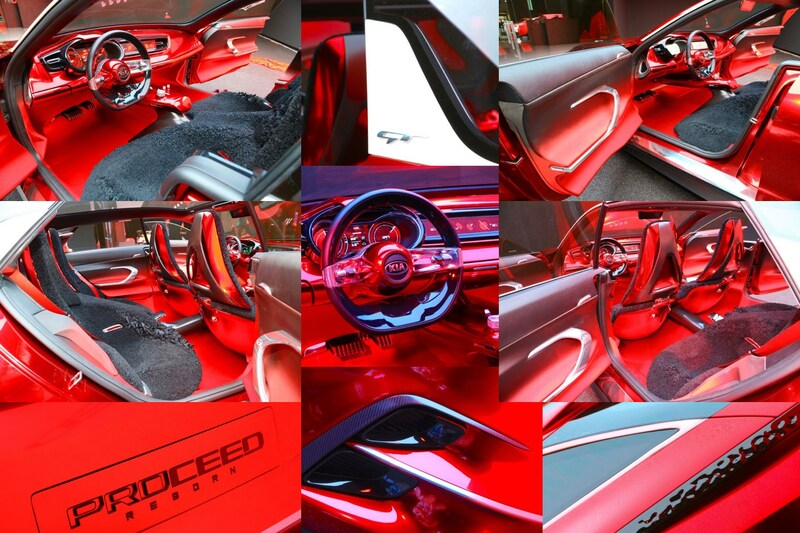 Kia says the cabin is inspired by the world of bespoke tailoring and haute couture. Its quartet of split-back seats are wrapped in rippled black fabric, tailored by hand, with hand-painted satin fabric lining the doors and flowing into the footwells. We'll just say that it's typical motor show-fare, and is unlikely to get anywhere near your local Kia dealer. The Proceed Concept’s dashboard features controls finished in highly tactile knurled aluminium, and indicates that someone at Kia's got a thing for 1950s Americana. 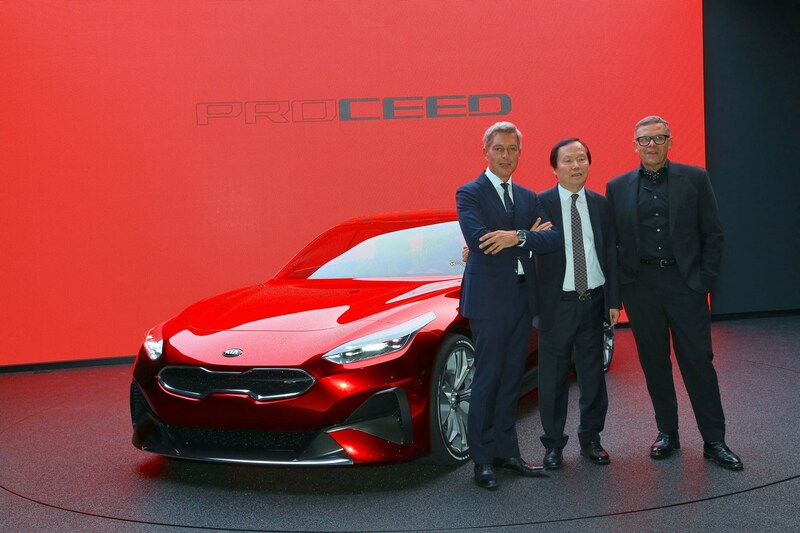 Gregory Guillaume, chief designer Europe for Kia Motors, said: ‘With many European drivers now seeking performance alternatives to the three-door hot hatch style, we began thinking about a different halo model for the Ceed family. One Korean engineer told us that the production version will ‘make a similar statement to the Stinger’. We’re looking forward to that – especially as much of the rest of the hot-hatch opposition are now dropping their three-door plans at quite a rate.